Oy! 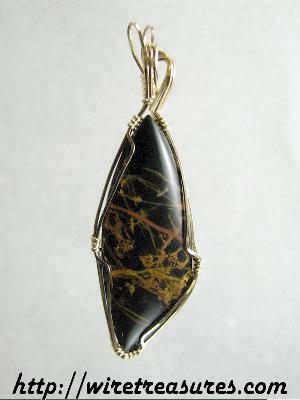 Mates, take a look at this little pendant with Pilbara Jasper from Down Under! 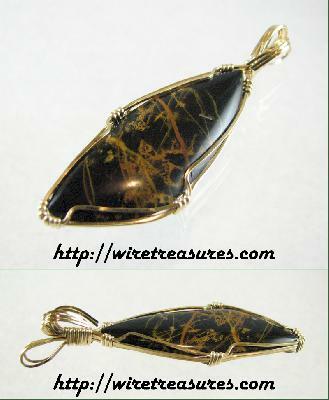 Straight from the Pilbara area of Western Australia, this freeform projectile-cut cabochon with its golden dendrites looks terrific wrapped in 14 Karat Gold Filled wire, too! Get this one as a pressie for your favorite Sheila! If Pilbara Jasper is one of your favorites, then click here to see all of the Pilbara Jasper items on the site! You are visitor number 1,783 to this page.